The complex of Santa Maria del Fiore is the focal point of tourist Florence. The main draw is the Duomo itself – you can go inside (free) but you will need to purchase a combined ticket for other parts of the complex (€18) and book a time slot to climb up to Brunelleschi’s cupola. The piazza also houses Giotto’s Campanile and the majestic Baptistery (included in the ticket). Florence’s two biggest art galleries are packed with masterpieces, so it’s hard to avoid the crowds. Book online and make a reservation to skip the queues. Combined ticket for the Uffizi, Pitti Palace and Boboli Gardens €38. Accademia ticket €16. Still in use as the Town Hall of Florence, the Palazzo Vecchio also houses a magnificent museum crammed with art and artefacts. Guided tours available. Tickets from €12.50. One of the Medici residences, this grand palazzo is now home to several museums. Set aside a good few hours to do it justice, and don’t miss the Palatine Gallery, packed with works of art from the masters. Enjoy the Boboli Gardens after your visit. 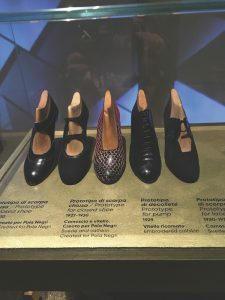 Dedicated to the life and works of shoemaker Salvatore Ferragamo and his family. Fascinating permanent displays and regular exhibitions. Entry from €9. With its wide open piazza in front, and an inviting pastel façade, the approach to this Gothic church is especially grand. Entrance is €8 and inside you’ll find frescoes by Giotto, plus works by Donatello and Cimabue and more. Part of the Ferragamo family’s Lungarno Collection, this welcoming hotel (right) sits right by the Ponte Vecchio. 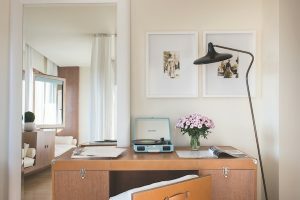 The 44 rooms and suites are light and airy, with the décor inspired by the 1950s; a neutral palette and wooden furniture in unpainted mid-century style, while outsize freestanding mirrors and billowing white drapes reflect light to create a restful ambience. Excellent views from the upper storeys, especially from the Consorti Suite. La Terrazza roof garden also has stunning 360º views (and a private lift), for breakfast in the summer, or for early evening drinks – very popular. Double room (off-season) €230 (excluding 10 per cent city tax and breakfast). This stylish hotel has much to recommend it. 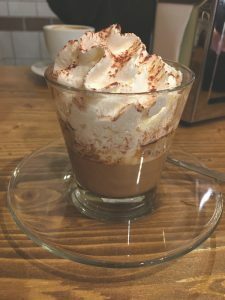 Its location is superb – overlooking Ponte Vecchio (on the opposite bank to Hotel Continentale) and within easy reach of many of the main sights. Rooms are elegant, staff are helpful and the bar’s terrace is just the perfect spot for aperitivo. Oh, and the Borgo San Jacopo restaurant happens to be Michelin-starred. If you’re in Florence for the art, the Lungarno has an added USP – spot original works by artists such as Picasso and Cocteau hanging on the walls in the public spaces. Double room from £390. Also owned by the Ferragamo family, the five-star Portrait Firenze (left) is all about sleek elegance and comfort. The interior décor takes its cue from the birth of Italian couture in the 1950s and offers a crisp, stylish feel to its plush suites. The cool retro ambience extends to the in-house Caffè dell’Oro (see page 24). Rooms from £440 per night (two adults sharing, excluding breakfast, VAT and city tax). So-called because of the inventive fusion of Mediterranean and Oriental cuisines, the menu of this modern restaurant offers good sushi and tapas, but go for the inventive cocktails and the relaxed ambience too. Happy Hour is between 5-7pm, when all cocktails are €10. 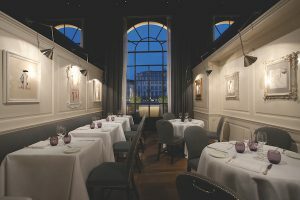 Michelin-starred chef Peter Brunel’s menus are inspiring, with tasting menus and à la carte for a wonderful gastronomic experience. His potato spaghetti is quite extraordinary. Overlooking the Arno, this is the perfect venue for a special celebration. This award-winning pizzeria makes its own dough fresh every day, using organic stoneground flours, water and a sourdough starter. Craft beers and organic wines complement the extensive pizza menu which caters for meat eaters and vegetarians. The desserts are delicious! There are two pizzerie in Florence with several more in Italy and one in London. Step inside this food lovers’ paradise for an irresistible array of fresh, local food and drink, with a café that serves excellent coffees (left) and a bar-restaurant upstairs. There’s a bakery on the premises and it’s a great place for people-watching. Check out the rolling programme of cookery courses and events through the year if you’re staying longer or planning to return soon. 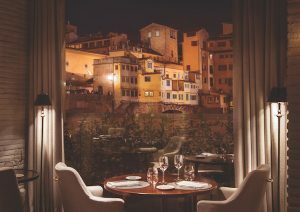 A truly elegant all-day-dining Italian bistro overlooking the River Arno by the Ponte Vecchio. Push the boat out with their unlimited Sunday brunch, which is a real feast of regional dishes and delicious treats. Book in here for a really memorable dining experience in the city – it’s ideal for special occasions. Calcio Storico Fiorentino: Experience the thrills and spills of Florence’s traditional sport. A mix of wrestling, rugby and soccer, it originated in the 16th century and is played in Piazza Santa Croce, right in the centre of the city. Four teams from the historical quarters of the city dress in traditional costume and play against each other, with the final taking place on the 24 June (see below). San Giovanni fireworks: Every June the 24th, Florence’s patron saint San Giovanni is celebrated with events running right through the day: flag throwers’ shows, a historic parade, rowers’ competitions along the Arno and the Calcio Storico finals (see opposite). The celebrations end with a huge firework display from Piazzale Michelangelo. Watch from Ponte Santa Trinita, Ponte alla Carraia, or the Lungarni (Arno river banks) for the best views. See the city by tuk-tuk: Get a different view of the city and its environs with a tuk-tuk tour (right). Florence By Night, Hidden Places and other tours are available, from €50 per hour. Florence Biennale: In 2019 the 12th Florence Biennale will take place from 18-27 October. Since its inception in 1997, nearly 6,000 artists from over 100 countries have taken part in a wonderful celebration of contemporary art. It takes place in the Spadolini Pavilion of the Fortezza da Basso (Viale Filippo Strozzi +39 055 324 9173, info@florence biennale.org). 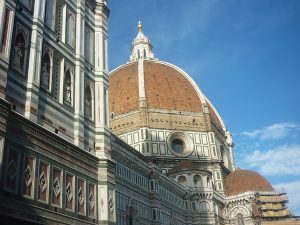 British Airways flies to Florence from London City. A greater range of flights operates between UK airports and Pisa, from which Florence is easily accessible. From Pisa airport you can take the train (from €10 one way – about an hour and a half, either direct or changing at Pisa Centrale) or the Airport Bus Express service (€28 return, about 80 minutes). 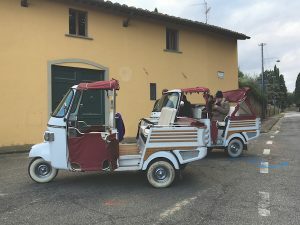 You can drive to Florence from Pisa in a little over an hour, and it is easily accessible from main roads in Tuscany, but driving in Florence itself isn’t recommended. Santa Maria Novella train station is well placed for the city and is well served by high-speed trains across Italy, so provides a far better option. You can pretty much walk everywhere you need to in the city centre, but if you want to go further or get around faster, try hiring a bike or using the comprehensive bus system.